You come home from a stroll in the woods nearby, peaceful and happy. Suddenly you feel a little tickle on your leg, under your socks, and bend down to scratch it. That’s when you see a tiny, barely noticeable brownish insect stuck to your skin! Oh, no! A deer tick! You panic, your heart pounds like crazy, you already picture yourself infected with Lyme disease! You run home to look for help! What should you do? What should you do first? How to get it out? Nobody told you before. And you’re not prepared for this. How to get rid of ticks? Somebody! Anybody! Help! Let me introduce to you 12 facts you need to know about deer ticks, over 7 natural ways to get rid of deer ticks, as well as 5 prevention tips. After you’ll read this, you’ll know exactly what you have to do and you’ll be able to help others, too. Deer ticks or black-legged ticks (Ixodes scapularis), have a hard body and live especially in the eastern, northeastern and upper midwestern United States. They are named like that because they prefer deer as feeding hosts. A blood feeding parasite of deer, mice, dogs, humans, and other mammals, deer ticks may go unnoticed for days while sucking on their host. Ticks spend over 90% of their 3-year long life walking, climbing on vegetation and starving. Deer tick nests are found in humid, warm, dark areas in the woods, yards, and lawns. Contrary to other tick types, deer ticks don’t nest indoor. So, stay calm, you will find no deer tick nest in the house. Phew! Also, don’t be afraid of a deer tick infestation in your house, as they are not able to survive indoors longer than 24 hours (if they don’t find a feeding host). Yay! That’s fantastic news, right? Tick’s feet have curved transparent claws that contain an elastic protein resilin, which is quite unique. This allows them to stick even on the smoothest surfaces like skin, glossy leaves, and glass. When sticking to a glossy surface, ticks generate a force which is 500 times greater than their own body weight. The tick’s body can grow up to 135 times when they feed on blood. Deer ticks can’t jump or fly. They just crawl. Ticks are tough little buggers. They resist through frost, heat, drought, and starvation for very long periods of time. They just won’t die. Hard to kill and destroy, these nasty insects prey on you from the high vegetation so they can climb on you. Then, they get stuck on your skin with their hook-tipped forelegs, stick their head into your skin, and then feast on your warm blood. They prefer the warm, humid spots, so when they get on you, check the back of your knees, under your arms, in every skin fold, and especially in the back of your neck, and along the lower scalp. As tiny as they are, deer ticks transmit serious diseases into human’s bloodstream through their saliva, such as Lyme disease, anaplasmosis, babesiosis, Borrelia miyamotoi, etc. 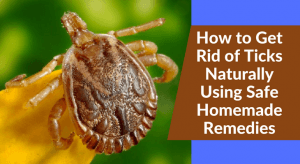 Then let’s see how to get rid of deer ticks with natural, non-toxic, and effective home remedies that are safe for humans, pets, and environment. The common tick repellents and pesticides are considered safe and they are frequently used. However, they often cause irritation, respiratory problems, rashes, allergies, headaches, and even neurological problems. That is why more and more people turn to natural solutions against ticks. If you’re an outdoor person and you like to go outside for sports, picnics, working in the garden, walking in the woods, or hiking, protect yourself with powerful and effective natural tick repellent so you may enjoy peacefully your outdoor experience with family and friends. Cedar essential oil kills ticks in a proportion of 100%, studies show. Cedar oil effectively repels and kills ticks having a complex action against them: it dries them out, destroys the waxy outer layer, disrupts the metabolism, movement, respiratory, reproductive, and feeding processes, and dissolves the larvae. Mix all essential oils (10 drops each) in a spray bottle. Shake and spray on your clothes and skin before you go outdoors. It is very potent and it will keep ticks (and other insects) away from you. Combine and rub on your skin, especially your legs, arms, neck, and back of your neck. It will not only smell great on your (woodsy), but it will be very effective in keeping ticks at bay. Another chemical-free deer tick repellent helps you stay outdoors all day while keeping deer ticks at bay. Neem oil has antibacterial, antiviral, antiseptic, anti-inflammatory properties and it’s a natural anti-tick repellent. It has a peculiar smell, but it will repel ticks effectively. No ticks on you after your stroll in the high grass or in the woods. Simply spray neem oil on your legs, arms, neck, and back of the head. If the smell is unbearable to you, dilute it with a vegetable oil such as castor oil (it’s a little bit thick), coconut oil, or sunflower oil. Want to upgrade its scent and potency? Add Patchouli, Lemongrass, Cedar, or Lavender essential oil. Apple cider vinegar – 2 oz. 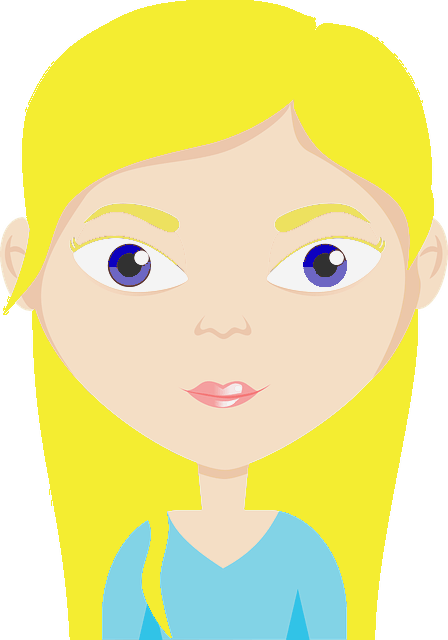 Distilled water – 2 oz. Mix ingredients, shake and use. Spray on skin, clothes, and shoes before you go outdoors. Use a combination of garlic oil and cedar oil with distilled water and spray on your grass, plants, vegetation, lawn, bushes, and flowers around the house to repel and kill ticks effectively, naturally, and organically. You may add Apple cider vinegar to the solution. Do you know that you can also eat garlic as a preventive measure against ticks? Apparently, eating garlic will make your skin less attractive to ticks. The Centers for Disease Control and Prevention (CDC) recommends drying your clothes first after you spent time outdoors, especially in tick-infested areas. Why? The nasty suckers won’t drown in your washing machine, but they die at high temperatures in your drier. Research shows that ticks withstand long hot washing cycles, while they can’t survive 5 minutes in your dryer on high heat. So, as illogical as it may sound, put your clothes directly into the dryer when you suspect you have brought home ticks from the woods! Even if it’s a bit tricky to remove deer ticks from your skin, use sterilized tweezers following the simples steps presented here by the American Academy of Dermatology and watch this tutorial. Check your dog and yourself for ticks every time after you go outdoors. Establish your dog’s place in an area that is easy to clean and treat with tick repellent solutions. Use only safe-for-pets anti-tick solutions or better, make your own homemade remedies following our suggestions. Keep your house dry and clean to keep the indoor conditions improper for ticks to live inside. Use dehumidifiers if you live in a humid area, air-conditioning (to keep the temperature cool), and vacuum clean once a week. Not all deer ticks carry the Lyme disease (or another one), so don’t panic if you find ticks on you. The risk of getting infected is drastically reduced if you can get the deer tick out of your skin within the first 24 hours. More useful tips regarding deer tick’s life cycles, Lyme disease, and preventive measures, you can find from the Department of Health. Deer ticks may be small, but they know how to leave a mark on us. I hope that knowing how to get rid of ticks with these effective and safe remedies from nature, you’ll be able to keep these little suckers away from you, your family, and your house. What is your experience with deer ticks? How did you get rid of them? Please leave your comments in the section below. If I take garlic pills and give them to my dog will that deter ticks and fleas? If it does, what dosage should be used.